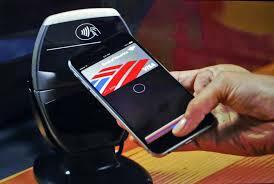 It was inevitable… and at last Apple have announced they will be joining the contactless payments revolution. Their product is Apple Pay and it will be available on the iPhone 6 and Apple Watch from October in the US. Apple are renowned worldwide for their attention to design and usability and they certainly appears to have applied these principles to Apple Pay. Ease of use and security are at the forefront of customers minds when it comes to contactless. Security is covered by TouchID fingerprint recognition combined with a ‘Secure Element’ chip. To add a card to the Apple device users either take a photo or manually input the details and the info is stored in Passbook. Bank card details are encrypted and stored on the chip and when a payment is made the Device Account Number and security code passes to the payment terminal. Neither Apple nor the merchant have access to your card details as they are not stored on the Apple servers nor made available to the merchant. Payments will be extremely simple, all the customer has to do is wave their device near the terminal and scan their finger or thumb print to complete a transaction. Each transaction creates a one time payment number. A vibration or pulse from the device lets customers know the payment has been made. Apple Pay will be available in the US from October and Apple have announced partnerships with leading card providers and numerous retailers. The technology will be rolled out in the UK in 2015. Hopefully by this time any technical issues will have been ironed out and UK customers will have a convenient way to make NFC payments using their Apple devices. Merchant services is the name given to a service that allows businesses to accept debit and credit card payments. A merchant acquiring bank provides this facility though merchants will commonly deal with an independent sales organisation. Paid to set up the account, this may also be referred to as the joining/application/setup fee. The minimum monthly service charge is the minimum a merchant pays every month to have a merchant account. If the total transaction fees are greater than the MMSC the fee will not apply. MMSCs are commonly around £20 so if, for example the merchant’s total transaction fees for the month are £15, they will pay the MMSC. For small businesses it usually works out cheaper to buy a terminal. If renting or buying you can do so through your merchant services provider or a 3rd party. If buying a machine through a 3rd party make sure the machine is safe and PCI compliant. Also make sure the machine works with your merchant account. You can ask your merchant services provider for a list of approved terminals. The banks work out transaction fees based on the bank, account type and type of payment. The result is many different rates are payable for card transactions. If the merchant has set up the account through a third party they are likely to have a rate set for different types of transaction and different card types to make billing easier. It is worth investigating transaction fees as many small merchants have been hit hard by high transaction fees for certain types of card. One fee that merchants are commonly unaware of is the early termination fee. This is a fee which the merchant is liable for if they cancel the merchant account before the end of the contract. Take care to ask the right questions and read the small print as early termination fees cost £100-£200 and can be applied to rolling contracts. 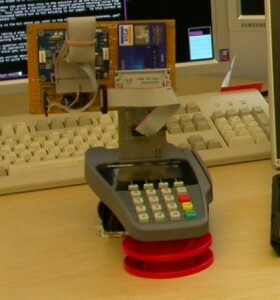 The most important thing about the payment terminal/s is that they are as safe as possible. Every merchant has to comply with international safety standards laid down by the card companies. Countertop: This is the type of terminal you see when you go into the shop or supermarket. They are connected to the till and payments are processed with the bank via a phone line or internet connection. Portable: These terminals are commonly used in restaurants and bars. They are wireless and payments are processed via transmission to a hub on the premises which connects with the bank. Mobile: Mobile terminals are used away from the business premises. They connect to the bank via the GPRS signal used by mobile phones. Some devices have their own mobile technology and some process payments via a smartphone or tablet. The PCI Security Standards Council is an international organisation established by major card companies such as Visa and Mastercard to protect card data. They exist to ensure that anyone processing card payments does so securely and a key way they achieve this is through the PCI Data Security Standard (PCI DCC). The PCI DSS is a set of standards that those processing card payments must comply with which includes small businesses and the self employed. 80% of attacks on card payment systems and card machines happens to small businesses. If you are PCI DSS compliant you have nothing to worry about, however if you fail to implement PCI DSS your business could be subject to: fines, withdrawal of ability to offer card payments, legal costs and more. The thieves’ objective is to access cardholder data. With that data they can purchase things online, clone the cards and use the details for identity theft. Card data can be obtained at various points in the payment system. For example the card reader, paper records, electronic records, the router or the POS system. Thieves methods include such things as tampering with the card reader, changing cables, using a specially adapted chip and PIN card, installing software on the POS and tampering with routers. Don’t store any card data. Storing some card data such as the 3 digit security code on the back of cards is illegal. There are 4 levels of PCI DSS compliance. Which applies to your business? If you are a small business owner it is likely your business falls into level 4. If that’s the case you should take a look at the PCI Self Assessment Questionnaire. After reading this article you may feel a bit overwhelmend. For the average small business who wants to accept card payments the PCI DSS is nothing to worry about. There are no charges, you just need to perform a self assessment using the Self Assessment Questionnaire. Annual re-assessment is recommended both to check your own system and because the PCI may update its documents. For merchant account advice please don’t hesitate to use our contact form, we are more than happy to help. Fixed countertop terminals are commonly used in retail. They are suitable where all payments are taken in one place on the business premises. The terminal is normally connected to the till and payments are verified with the bank via a phone line or internet connection. 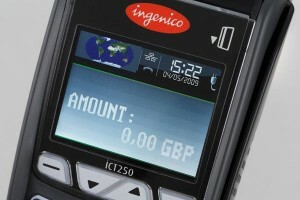 In the UK countertop terminals process payments using chip and PIN, though they may also be equipped for swipe and sign payments. Paper receipts are issued from the terminal once payment is approved. Portable terminals are commonly used in hospitality. Where a business needs to accept payments at multiple locations within their premises portable terminals are the most suitable option. Payments are verified with the bank through a central hub which is located on the premises. 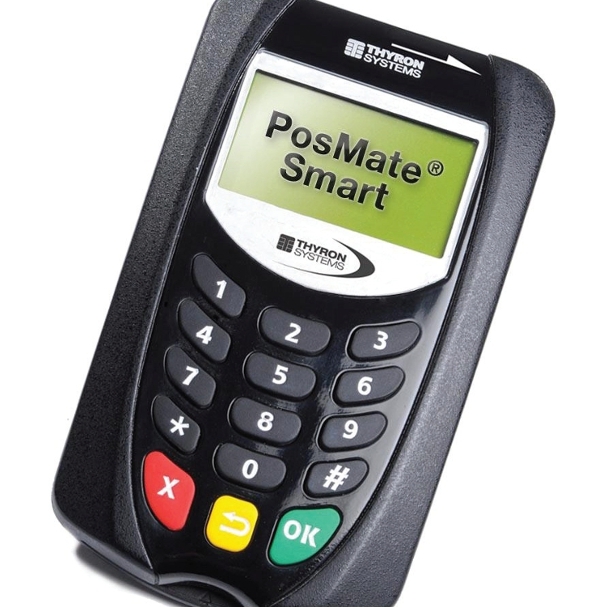 Portable terminals process chip and PIN payments and may be equipped for swipe and sign. A paper receipt is issued from the terminal once the sale has been approved. Mobile POS terminals are used where the point of sale is outside the merchant’s premises. A mobile phone signal is used to verify payments with the bank and this may be done through the terminal or through a smartphone or tablet. It used to be that you needed a mobile chip and PIN terminal which could perform the whole transaction. Now it is possible to get a mobile card reader which works with an internet enabled mobile device like a smartphone. Payments are processed via an app and the customer is sent a receipt by text or email once payment is approved. Contactless payments are a way of accepting card payments without the need for the customer to enter their PIN. A contactless POS terminal is able to read the card details at short range through a technology called near field communication (NCF). There is currently a limit of £20 for contactless payments in the UK making this type of payment suitable for retailers processing many transactions of less than £20 where payment speed is important. Many banks now issue contactless cards to their customers as standard so this type of terminal is likely to become common on the high street soon. NCF can also be used for mobile payments which are payments where customers use their smartphone to pay rather than a payment card. Mobile payments are currently being trialed in the UK. People are used to paying on their card in the supermarket, the corner shop and even the pub. Many customers now expect to be able to pay for everything by card. However, 20 million businesses in Europe still don’t accept card payments. Certain industries and types of business are less likely to accept card payments, including many small businesses and self employed people. One of the reasons for this is that for years accepting card payments has been prohibitively expensive for many small businesses. When thinking about offering card payments it is worth looking at the advantages of accepting cards. When it comes to accepting card payments in 2013 small businesses have 2 options. If you are a small business owner or self employed you can either sign up for a merchant account and process transactions through a merchant services provider or you can get a mobile card reader which works with your smartphone or tablet and pay a fee per transaction. A merchant account is a type of bank account that allows a business to accept card payments. The account is held with an acquiring bank though other companies may also be involved in the processing of payments. Merchant accounts are commonly arranged through an independent sales organisation who work with many acquiring banks. There are a number of charges to be aware of when setting up a merchant account: The setup/account activation fee, the cost of terminal rental/purchase, the minimum monthly service charge, the cost per transaction (which can vary for different types of transaction), early cancellation fees, statement fees, annual fees. All of these may not be applicable but its worth asking about all of them before you sign up. Once you have a merchant account and your card machines you are ready to take payment. The type of card machine/s you require will depend on the type of business you are operating. Countertop terminals are commonly used in retail, portable terminals in hospitality and mobile terminals where payments are taken away from the company premises. Interestingly, there have been recent developments in mobile terminals which leads us to…. There are now available on the market next generation mobile card machines which allow merchants (or individuals) to accept payments with a lightweight device and their smartphone. Some are available with no merchant account. All the merchant needs is the card reader, which is inexpensive or free then they pay a small charge on each transaction. The devices are suitable for many types of business such as taxi drivers, tradespeople, travelling salesmen, food trucks, hair and beauty professionals, artisans, delivery services and professional services amongst others. At present there are 3 main players in the UK that offer this type of solution: iZettle, Payleven and Sumup. 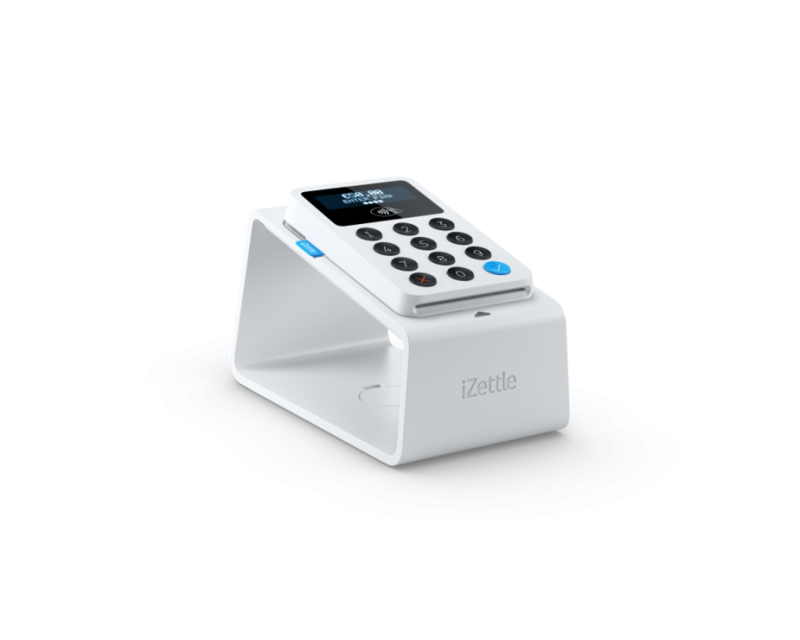 iZettle offer signature verified devices for £20 (with £20 credit) and a chip and PIN machine for £99, Payleven offer a chip and PIN reader for £89 and Sumup offer a chip and sign device which is free. The transaction fee is 2.75% for all 3 companies. Before you apply for a card reader it is worth doing a little research to find out which is right for you. 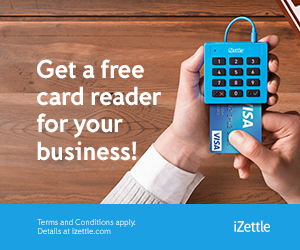 The ‘swipe and sign’ and ‘chip and sign’ card readers are aimed at sole traders and micro businesses while the chip and PIN readers are suitable for small and medium businesses. Customers are more demanding than ever and not accepting card payments is no longer really an option for many small businesses. Small businesses can offer card payments through a merchant account and with card machines and that is the best option for many types of small business. However, there is now an option to choose a mobile card reader which works with a smartphone and works on a cost per transaction basis. Mobile credit card readers have been around for years. However, it’s only in the past year that lightweight card readers that work with smartphones and tablets have become available. These devices change the game for many small businesses. Where once mobile card machines were expensive, the new devices are inexpensive or free. Previously, merchants had to sign up for a merchant account and pay a considerable sum just to accept card payments. Now card readers are available where only a small percentage per transaction is paid. Read on to find out whats available for the iPhone and iPad. Available now in the UK (also Germany, Ireland and Austria). 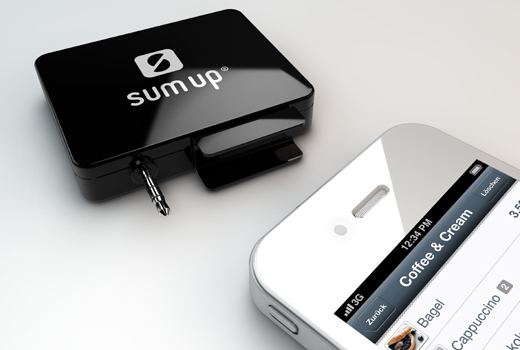 Sumup offer a ‘chip and signature’ system which works with a card reader and app. To take a payment the app is opened, the total displayed on screen and the customer’s card is read by the card reader. The next part of the process depends on which type of card you are using. Mastercard customers sign with their finger on the merchants’ mobile device. For Visa customers a secure link is sent to their mobile device and they manually enter their card details. Once the transaction has been verified a receipt is sent to the customer via email or text message. The card reader connects to the iPhone or iPads’ 3.5mm headphone jack and the card details are encrypted using 128 and 256 bit data encryption. With the free app, merchants can save a list of their products and services on ‘shelves’ and pull them in to give the total cost or simply manually input the total. Merchants receive funds into their bank accounts 7-10 days after the transaction, provided the payment is over £40. If not, payment is made when the total reaches £40 or 2 weeks after the last payout, whichever comes sooner. Click here to visit >> Sumup. For a £20 discount use code CPM20 when you order a terminal. Available for iPhone, iPad and Android (limited). The customer inserts their card into the card reader then inputs their PIN. The payment is verified via Bluetooth and the phone’s mobile signal then a receipt is sent to the customer’s email address. Merchants can order a card reader from the iZettle website and the app is downloaded from the app store. Once the IOS version of the app has been installed, merchants can input their products and services. For the Android version the product description and value must be manually input for each transaction. There is a daily transaction limit of £15,000 for chip and sign and £25,000 for chip and PIN. 4,000 businesses were involved in the UK trail and there are 75,000 active customers in 6 countries (end 2012) according to iZettle. To accept a payment the merchant opens the app on their mobile device and enters the total and description into the app. The customer then puts their payment card into the Payleven chip and PIN machine and enters their PIN. Payment is authorised with the bank via the mobile phone and once verified a receipt is sent via email. The app keeps a detailed history of all the transactions and merchants can make refunds through the app. 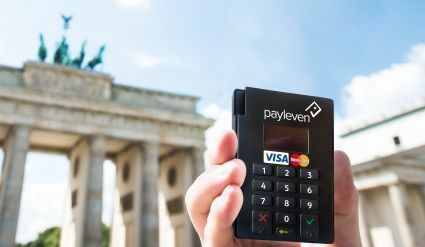 Payleven were founded in March 2012, have 70 employees and in January 2013 received significant investment showing investors have confidence in this technology. If you are looking at getting a card reader for your iPhone or iPad the first thing you should do is decide whether or not you want a merchant account. There are articles on this website to help you decide, take a look through the merchant accounts category. For many businesses merchant accounts are the best option. One of the great things about this new generation of card readers is that accepting card payments has been opened up to a lot more people. Small businesses and even individuals can get a card reader inexpensively or free and begin accepting payments without the need for a traditional merchant account. If that is what you are interested in two of your options are currently iZettle or Payleven. These chip and PIN readers are suitable for larger businesses taking more frequent transactions as well as sole traders and micro businesses. Using Bluetooth means the card reader is not attached to the mobile device. I would recommend taking a look at the app stores to see what current customers think about what’s available. The card readers listed above have been PCI approved and highly secure. I hope you have found this article useful. Have you used any of the above mobile credit card readers? Feel free to comment below. Card payment processing in the UK is changing fast. It’s important for smart retailers to keep up with the trends to ensure they make the right decisions about payment options. Cheques are no longer guaranteed by card since June 2011, contactless payments have been introduced and mobile payments are on the horizon. Customers still trust cash the most yet expect to make even small purchases by card. What are the right card payment processing options for your small business? Accepting cash payments is the most straightforward for consumer-facing businesses taking relatively small payments. Retailers and merchants accept cash, tradespeople accept cash, just about ever customer facing business does. One big advantage over cards is that commission is not paid to process payments. Cash does have disadvantages though. Record keeping, money management and security are all more difficult than with electronic payments. Businesses offering only cash transactions may be restricting themselves as customers carry increasingly smaller amounts of cash about their person. Chip and PIN payments have been around since 1995. 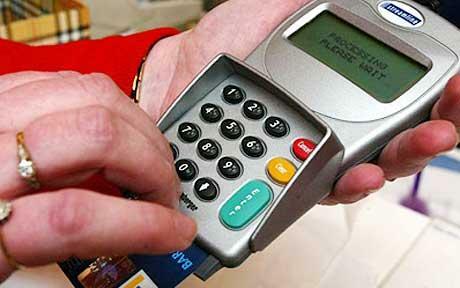 Debit and credit cards in the UK all have chip and PIN and card payments have become ubiquitous over the years. 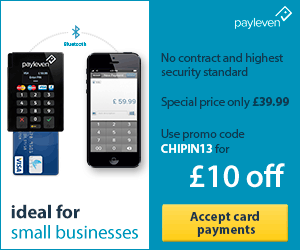 Merchants such as taxi drivers, market traders and tradespeople now offer chip and PIN. Chip and PIN terminals come in countertop, portable or mobile models to suit all types of business. There are even chip and PIN machines which can process payments through mobile phones. For small retailers cost per transaction is around 25p. On top of that there are the upfront costs of setting up a merchant account and buying or renting a machine. There is also a minimum monthly service charge. 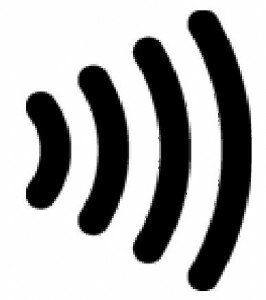 Contactless payments are made by waving your contactless payment card near a contactless terminal. The details are read through a type of magnetic field called near filed communication (NFC) and the payment made, no PIN is required. In the UK, payments up to £20 can be made with a contactless card. Millions of cards in the UK are now enabled for contactless payments. Contacless payments have been trialled and rolled out on a limited basis to date. Big-name retailers accepting contactless payments include Tescos, Marks and Spencer, ASDA and Co-op, though mostly in London at present. Many other retailers are accepting contactless payments too, look out for the contactless symbol. Public confidence in contactless payments remains low at present with just 10% of users claiming to feel ‘protected’ using contactless payment cards. Mobile payments work using the same technology as contactless payments (NFC). Many commentators suggest contactless payments are a bridge to mobile payments. 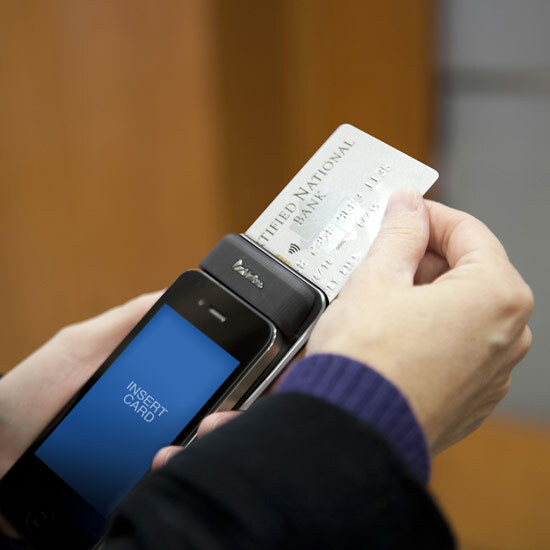 Mobile payments are made by waving your mobile phone near the contactless payment terminal. The data is read by NFC and the payment made. Mobile payments are available in the US though not yet in the UK. The 2 big names in the market at present are Google and ISIS, though there are many others vying for market share. Online payments are a type of card-not-present (CNP) payment. The payments are processed via a payment gateway and work with a merchant account. You can get a free online merchant account with Paypal or you can ask your current merchant services provider to see what they offer. Know the options: If you are a tradesperson you can now offer chip and PIN payments using your mobile phone with a chip and PIN reader. Mobile chip and PIN machines are also widely available. If you are a small retailer investing in a chip and PIN terminal are contactless options available? Knowing all the options will give you one up on most of your competitors. Futureproofing: Is it likely your customers will be expecting contactless payments and even mobile payments in the next couple of years? Its worth investing in the right terminals so they last as long as possible. Branding: Those businesses wishing to be viewed as market leaders may want to offer the latest payment option to customers. That is undoubtedly a driver for some of the large retailers introducing contactless payments. I hope you found this article useful. There are more in depth articles on the various card payment processing options on the site, feel free to take a look. If you have any questions don’t hesitate to contact me using the contact form. Upfront costs for accepting card payments can add up and it can be tempting to cut corners on a credit card reader. Auction sites such as ebay frequently list used terminals, some for very low prices. For instance, I searched today and found a second hand credit card reader starting at £0.99 (+ £5 shipping). Even new terminals were available ‘Buy Now’ for around £20. 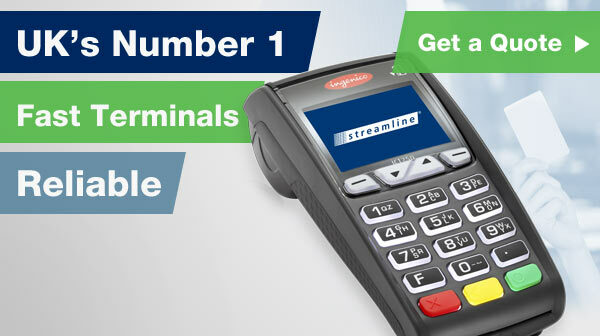 It can be tempting to purchase a cheap terminal rather than go through your merchant services provider. However, it is a bit of a minefield and there are certainly a number of things you should be aware of. 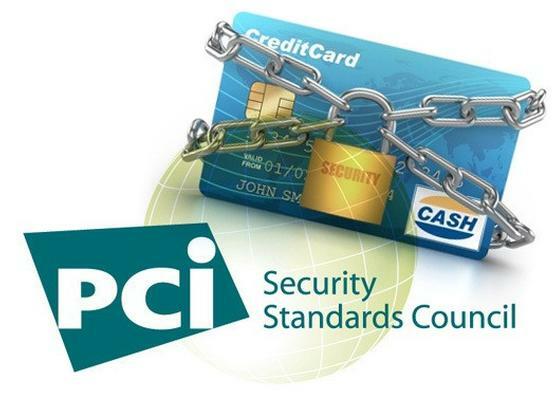 The PCI is an international security standards council. 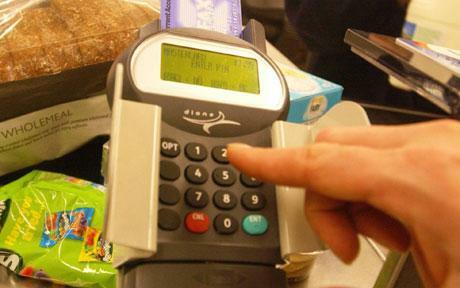 It was founded by card payment processors such as VISA and Mastercard to ensure secure card payments. Merchants who offer card payments are responsible for protecting cardholder data. No sensitive cardholder data should be stored and credit card readers have to meet current standards. If cardholder data is stolen and its your fault you could be subject to fines, penalties and possibly be unable to accept card payments in the future. Many machines which have been manufactured in the past 10 years are no longer compliant with the standards and using them could leave you open to penalties if anything goes wrong (for instance if a card machine is hacked or stolen). The terminal has to be able to work with the software your merchant acquiring bank uses so data can be smoothly passed back and forth between the two. If the terminal is old or unsupported by your bank it won’t work. This problem can be overcome by requesting an approved terminals list from your merchant services provider and ensuring the terminal in question is approved. To the average person it is very hard to tell if a terminal has been hacked and malicious hardware of software installed. If the terminal does contain malicious elements thieves can harvest card details from the terminal. This can be done from a remote location without you being aware. In the past whole shipments of new machines have been affected resulting in millions of pounds being defrauded from customers. Like with any second hand items the credit card reader may be in a state of disrepair. You might have problems printing receipts, buttons may be broken, the electronics may be faulty. Even if the machine appears to work you may soon discover the fault and then its too late. Some terminals experience heavy use. You could get a terminal that has reached the end of its natural life. Buttons could be worn, it looks tatty and keeps breaking. Do you really want these problems with a terminal? Even if it works a tatty looking terminal send the wrong signals about your business. We appreciate that our readers want the best deals on their credit card readers and we want to help you achieve that. By all means shop around for payment terminals and don’t necessarily go with your merchant services provider. Take precautions though and above all make sure sure you get a terminal you can trust. If you do need a credit card reader whether that be a mobile card machine, portable or countertop it is worth requesting a quote from our partner, they currently offer great prices, just click the link at the top of the page, complete the form and someone will be in touch shortly. Merchant account approval is by no means automatic for UK businesses. Factors such as the age of the business and the industry you operate in are considered. Certain industries are considered riskier with some such as online gambling and some types of e-commerce requiring special ‘high risk’ merchant accounts with extra provisions. Industries such as telemarketing, travel, ecommerce and membership type businesses are other industries considered to be high risk. As with many things concerning merchant accounts and business in general, a lot comes down to research. Research the most suitable type of merchant service providers for your business. Will you be accepting card payments through a card machine? Will any payments be taken online or over the phone (card not present)? As well as ensuring you get accepted, selecting the right merchant account will make sure you get the best deal. As when applying for personal financial products, merchant services providers run rigorous checks to ensure the suitability of your business. They check whether loans have been repaid and for judgements and bankruptcies. If your accounts look in good shape you stand in good stead for approval. If you want to accept card payments it may be that you have to accept higher than average fees. It could be down to the type of payments you are processing or the frequency of payments. If you are a seasonal business you may have to pay more and if your industry is higher risk that puts up prices. Of course, you have to look at the bottom line but don’t rule out accepting card payments. The high fees may only be temporary and the extra business may well be worth it. You can try to renegotiate the deal once you have built a relationship with the merchant services provider. If you have any questions please leave a comment or use the contact form. Cancelling a merchant account early can be an expensive business. In many cases it will cost you £100-£200 to cancel early. Often these charges come as a surprise to the merchant who may have been with the same provider for years. This article is going to share with you some top tips for avoiding these fees. Always ensure you ask the bank or their representatives about the early cancellation fee. Find out if there is one, how much it is and when it expires. If a rolling contract will automatically come into place when the fixed term reaches its end, find out if that will include an early cancellation fee and how much it will be. As well as asking the bank, make sure you read the small print to see what it says there. Make sure you have the complete contract and go through it with a fine tooth comb. If you are smart you will be negotiating costs for your merchant account to get the best deal. Try to see if you can get the early cancellation fee removed or reduced and if you do make sure you get it in writing and the contract is amended. Check forums. One handy thing about the internet is you can get info ‘from the horses mouth’. Take a look at popular business forums to identify any potential pitfalls and see if anyone has any advice about how to eliminate the early cancellation fees. Forum contributors may be able to suggest banks who don’t charge one. If you decide to cancel your merchant account early and are aware a cancellation fee looms, there are a number of steps to consider to try to get out of the fee. Contact the bank where you have your checking account. It may be that the merchant acquiring bank has access to make withdrawls. If you wish to dispute the fee let your bank know to block their attempts to make a withdrawl, if that means closing down the checking account go ahead, you are cancelling anyway. Prepare to make your case. Take a look to see if fees have increased any time over the past 3 months, that might give you legal recourse against the cancellation fee. If you are going out of business there may also be legal protection against the fee. Approach the bank with your case set out. For example, show them how much you have paid in fees during the course of your contract, if you have always kept your account up to date make sure they’re made aware of that. Merchant acquiring banks are more aware than ever that customer care is paramount. They don’t want a lot of bad publicity online about unfair charges. Ultimately, if you have signed the contract it may be at the discretion of the bank to waive the fee so make sure you take all necessary measures before you sign. If it looks like you might have to pay try to avoid getting into a confrontation with them.